Arguably Georgia's most famous agricultural product, the sweet Vidalia Onion has its roots deep in Tattnall County's soil with more than half the annual crop coming from our county and the nation's largest grower, packer and shipper of sweet onions headquartered in Glennville. We can also claim credit for the first and now oldest sweet onion festival in Georgia, the Glennville Sweet Onion Festival. After the war years, production grew steadily, encompassing 600 acres by the end of the 1960s. In 1963, according to UGA, the Piggly Wiggly supermarket chain gave the onions possibly their biggest boost. Gary Achenbach (president of Piggly Wiggly Southern in Vidalia) and also an onion grower and Wall Street adviser, built a produce distribution center in Vidalia. Achenbach provided marketing expertise that helped get the onions into Piggly Wigglys throughout the Southeast. 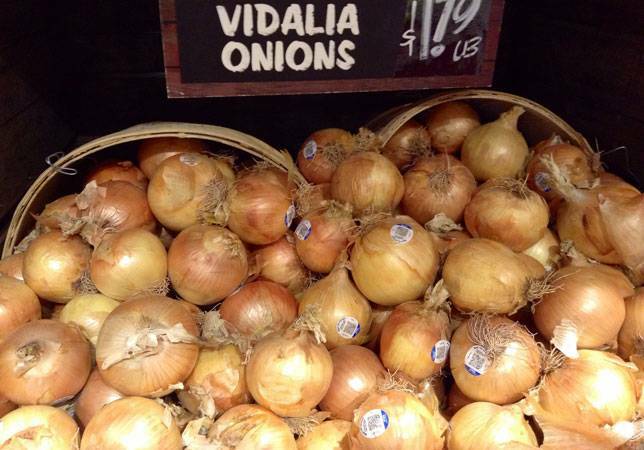 Other retail outlets caught onto this success and started shipping Vidalia onions into other parts of the country. In 1977, Glennville had what would become an annual onion festival. A year later, Vidalia had its first festival. The festivals became an annual tradition that continues today. Today, Vidalia onions are a vital part of Georgia's economy. Well more than 12,000 acres of the onions are grown annually, which constitutes about 40 percent of the nation's spring onion production. No longer just a Southern thing, they are available in 50 states and most of Canada.